Schubert's scores represent his music not as blueprints (or strict scripts), but rather as white papers (or templates). Their lack in structural rigidity and conciseness constitutes as it were, an open invitation to explore contained but uncharted territory. And this is more than a mere invitation, rather an unwritten imperative: only once these compositional spaces are filled with a congenially expressed narration on the performative level, does Schubert's music reach its full scope and does the magic of this most poetical form of music come to its full fore. 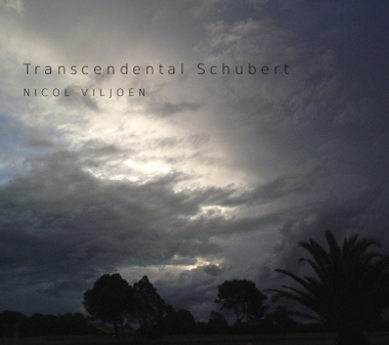 Nicol Viljoen's playing brings all these qualities to the fore. His musical integrity is only surpassed by his personal humbleness, making him one of South Africa's best-hidden pianistic secrets. In a country where generally only Lisztian allures are valued as pianistic currency, the merits of musicians of his calibre are rarely properly recognized. Embarking on a journey with him and any of his favourite composers — Schubert, Chopin or Mozart — immediately clarifies the circumstances: the pianist and his instrument become fully transparent, whereas the music becomes lucidly clear.